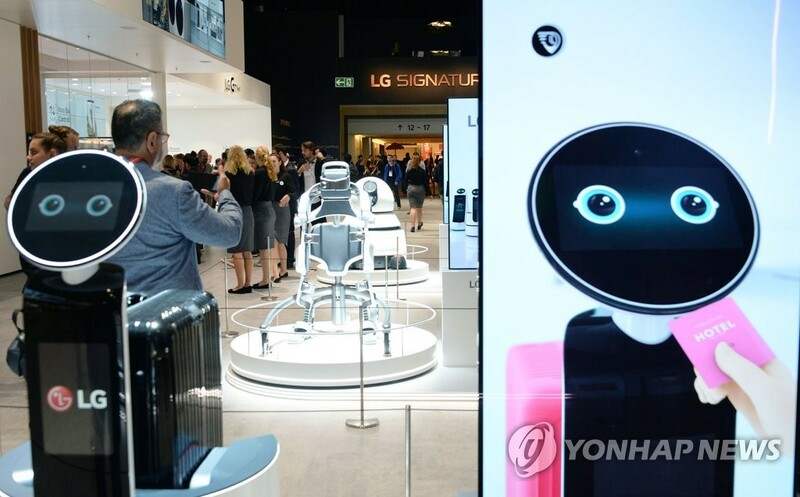 SEOUL, Oct. 1 (Yonhap) -- LG Electronics Inc. said Monday it has inked an agreement with service robot developer Robotis to collaborate in developing self-driving modules for mobile robots. The South Korean tech giant acquired a 10.12 percent stake in Robotis in December last year. Established in 1999, Robotis provides actuators for robots globally. The latest agreement comes in line with LG Electronics' latest efforts to expand its robot business as a new growth engine. LG Electronics said the company plans to expand the portfolio of robot products under close cooperation with Robotis. So far, LG Electronics has introduced eight robot products under the CLOi brand that carry out various tasks including guiding, cleaning and even mowing the lawn.